Golf can be a beautiful, relaxing sport. 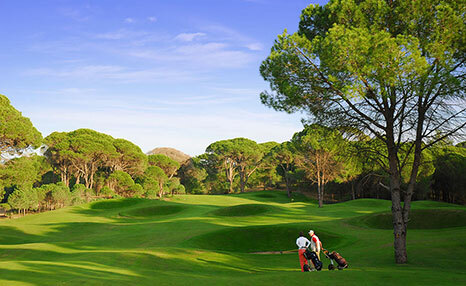 With a pleasant sun beating down and a clear view over the green, it’s like nothing else on earth. So, with the PGA Tour wrapping up for 2016 and countless fond memories of hours on the links behind us, we’ve decided to sour the stew and turn our attentions to the most fiendish, knotty and hateful golf courses around the world. They’ve made grown men cry, destroyed trophy hopes and haunted the dreams of top pros everywhere; they’re our 7 hardest golf courses in the world. Forever to be known as the course which reduced Sergio Garcia to tears, Carnoustie Golf Links is laid out along the unforgiving North Sea coast. Regularly battered with brutal coastal gusts and measuring 7,421 yards, the par-71 course can play much, much longer when that wind comes in to play. To cap things off, it’s riddled with pot bunkers, something we’re sure Jean Van de Velde will recall as he remembers his famous 7 shot finish on the final hole, which lost him the 1999 Open. Host course of the infamous 1991 “War on the Shore” Ryder Cup, the Kiwah Island course was designed by Pete Dye and sits off the South Carolina coast. It’s a beautiful course with some incredible holes, and a ridiculous level of challenge. Holes like the par-three 17th which, with the wind blowing, are arguably some of the hardest holes to par in the world. 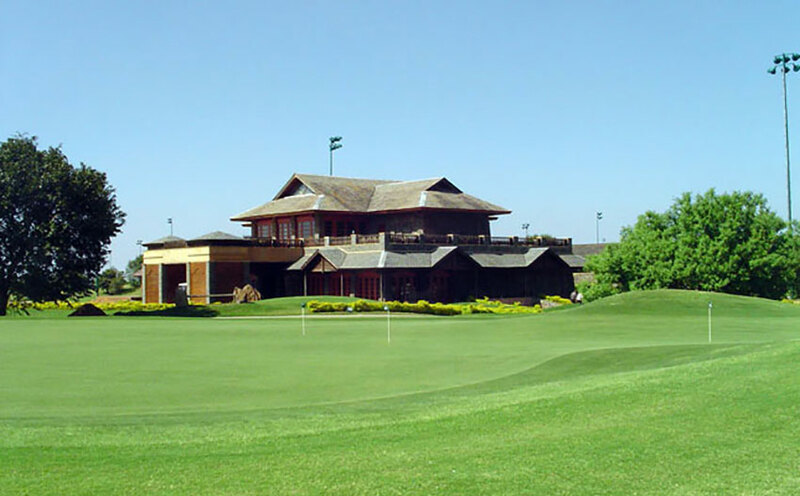 Hawaii is the perfect holiday destination, but if you’re going there for the golf, be thankful for the alterations made to the Ko’ollau Golf Club. Upon launch it was handed a 162 difficult rating, which the USGA headquarters wouldn’t allow as it exceeded the upper rating of 155. What followed was a team from the HQ being sent out to rate the course themselves. The result? An even higher slope difficulty rating of 172. It’s since been altered to make it a 152, but with dense jungle around the course, over 80 deep bunkers and some six deep ravines, it’s a tough, tough course. With a length of 8,325 yards, The Pines is a heavyweight of a course and the longest in America. 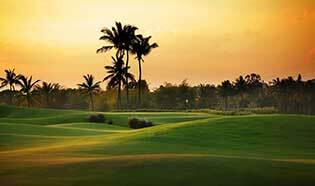 A par of 73 is extremely tough and requires immense distance to be put in almost every ball – not one for a relaxing stroll around. Oakmont is a challenge that pro golfers love to rise to the occasion of, but it remains notoriously difficult. With unbelievably fast rolling greens and deep bunkers placed in the cruelest locations, it’s a terrifying location. Famously host to the 2007 Open, Angel Cabrera won with a +5 scorecard, an excellent result on what is a stupendously hard course. Another long course, the Jade Dragon is the longest in the world at a punishing 8,548 yards. 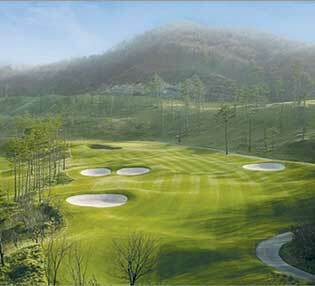 Situated over 3,000 meters above sea level, you’ll need to navigate a 711 yard par-5, a 525 yard par-4 and two more par-5 holes which measure over 680 yards. That high altitude means that the ball flies further, but it also means it will fly further left or right too, meaning accuracy becomes utterly essential. Often voted the best course in the world outside of the USA, the Championship Links is surrounded by purple heather and yellow gorse, making is both beautiful and crushingly unforgiving. Pair that with blind spots, deep bunkers and the strong winds that the course suffers from and you’re starting to understand the particular challenge this stunning course offers. We specialise in Golf Course Design and have published the only golf safety design guidelines and driving range design guides currently available.